While Delaware may be the first out of the gates with legalized sports wagering offers, New Jersey is not far behind. Operators of NJ’s Monmouth Park state that while they were disappointed, they were not worried about not being first as they understand that New Jersey has been a pioneer to this movement and helped get sports betting to this point. With that point made, shouldn’t some loyalty would come from that? NJ hopes to offer single-game sports wagering for bettors 21 and over by June 8th and recapture the Northeast market share from DE, just a few days after Delaware began operating their sports betting venues. While Delaware has sports betting operations just North of NJ’s border by 13 miles, New Jersey has planned to offer sports wagering among all its racetracks and Atlantic City casinos to retain local dollars. In fact, some businesses are already arranging agreements before a bill is signed. This news comes as word of Daily Fantasy Sports company Draftkings and Resorts Casino in Atlantic City are signing a deal to offer sports gambling at their venue surfaces. The plan to offer sports betting in New Jersey is on hold until current sports betting laws in NJ are tweaked and the new legislation detailing procedures and regulations is passed through the state legislature and signed by NJ Governor Phil Murphy. Several proposals for legal sports betting are being considered and differences worked out among the variations, as well as, finalizing the tax for sports betting. Whichever sports betting bill is given to the Governor he will have 45 days to review it and can assert his veto powers to ask for change. Lawmakers and operators are hoping that the bill will be signed immediately so they can begin operating as other states are vying to be second out the gate. 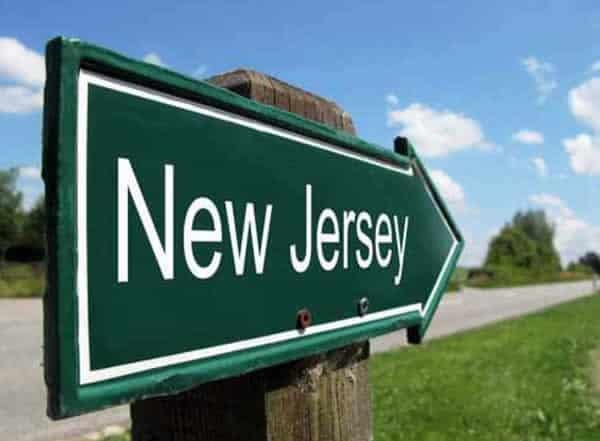 Hopefully, New Jersey will be the second state outside of Nevada to offer sports wagering, however, Pennsylvania, Mississippi, West Virginia, New York, and Connecticut are all presenting legal sports betting bills to be yet another early adopter of legal sports betting. New Jersey racetrack Monmouth Park is currently redesigning its William Hill sports bar into a sportsbook in preparation for the soon to come sports wagering offers. The Park is hopeful to begin operations involving sports betting by early to mid-June. Once operations begin, the state stands to gain hundreds of millions in tax revenue. However, if they wait too long they can miss out on the monetary opportunities the NBA Finals, Stanley Cup Finals, MLB games, and FIFA World Cup bring. Mobile and online sports wagers will be permitted in New Jersey, as well as, in person betting at sports wager lounges however the tax for betting online will be nearly twice the tax for in-person bets. New Jersey will also bar any betting on New Jersey college teams, NJ college sports that take place in the state, and high school sports activities. The Garden state is hopeful to begin before the last day of June. It has been stated that the Senate bill in motion and currently under review would allow racetracks and casinos to offer in-person betting immediately and mobile and online betting 30 days after. While Delaware may be trying to scoop most of the market and build loyalty from out of state bettors, New Jersey is hoping to catch up before it’s too late. New Jersey will be facing competition out the gates from a number of states who are coming around to see sports betting’s lucrative potential.